One of the great American Dada artists Bradly Lastname sent me this in the mail and instructed me to use it on Outsider Poetry. I thought to myself about the Stevie Smith poem and it occurreed to me no one would like this more than Bub the Zombie. Is Bub the Zombie drowning, waving, or saluting? 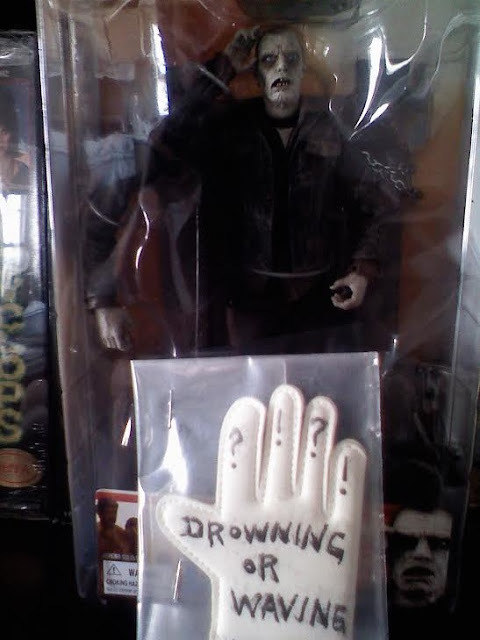 I'd prefer to think Bub is waving because he's in generally a rather pleasant fellow for an Undead America, however I'm not sure what effect drowning would actually have on Bub's disposition.